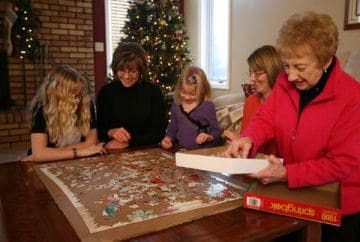 The holidays are a good time for family caregivers returning home to their loved ones to tune into the signs that an older family member or friend may need extra help to remain safe at home. To learn more about those signs, register for the free Home for the Holidays web conference, moderated by a representative from the Home Instead Senior Care® network, hosted by the American Society on Aging (ASA), and co-sponsored by the National Family Caregivers Association (NFCA) and the National Alliance for Caregiving (NAC). The hour-long web conference will be available in the U.S. and Canada, and offered on two dates and times: Tuesday, Nov. 15, at 1 p.m. Eastern Time, or Monday, Dec. 5, at 8 p.m. Eastern Time. To register, go to www.caregiverstress.com/familyeducation. The web conference will be moderated by Director of Strategic Alliances Mary Alexander of Home Instead, Inc., the franchisor of the Home Instead Senior Care network. Alexander is a family caregiver and a Certified Senior Advisor (CSA). “Signs of potential trouble can be evident in a senior’s home – such as spoiled food in the refrigerator and piles of unpaid bills – or personal indicators such as episodes of confusion or dirty and unkempt clothing,” Novelly said. The web conference will feature information about countering senior resistance to assistance as well as resources that can help family caregivers and senior care professionals. For more information, visit www.homeinstead.com/greaterpittsburgh or call 866-996-1087. Founded in 1994 in Omaha by Lori and Paul Hogan, the Home Instead Senior Care® network is the world’s largest provider of non-medical in-home care services for seniors, with more than 900 independently owned and operated franchises providing in excess of 45 million hours of care throughout the United States, Canada, Japan, Portugal, Australia, New Zealand, Ireland, the United Kingdom, Taiwan, Switzerland, Germany, South Korea, Finland, Austria, Italy and Puerto Rico. Local Home Instead Senior Care offices employ more than 65,000 CAREGiversSM worldwide who provide basic support services—assistance with activities of daily living (ADLs), personal care, medication reminders, meal preparation, light housekeeping, errands, incidental transportation and shopping – which enable seniors to live safely and comfortably in their own homes for as long as possible. At Home Instead Senior Care, it’s relationship before task, while continuing to provide superior quality service that enhances the lives of seniors everywhere.